Finding Using Child Car Seats a Bit Complicated? Read This! For the first month with our baby I refused to be the one to strap him in. It just felt like too much responsibility. If you’ve read the stats on car accidents and the importance of car seats, then you will know what I mean. After a month I was climbing the walls and had to get out the house with Baby #1 so I came up with this checklist to go through when I used the car seat. !Spoiler Alert! It’s easier than you think – there are 4 quick checks that you need to perform every time you strap your child into their car seat. It is part of the basic needs of your baby. Child car seats prevent your child from collisions, provide him with comfort when you are travelling and keep him calm. You don’t want to move with worry and discomfort because of your kid. So to avoid this, you do need to purchase a children’s car seat that perfectly suits yours and his needs. There are numerous types of cars seats in the market depending on various factors. There are child car seats that based on the: age of your child, your lifestyle. Unique technological features, weight and height of you baby, among other factors. With these numerous types, you do need to carefully examine your needs so as to choose the right one for you and your child. Why not view our article on The Infant Car Seat FAQs. 23 Questions You MUST Know The Answer To, How to Choose an Infant Car Seat that Suits You Best. 4 Factors You Must Know! 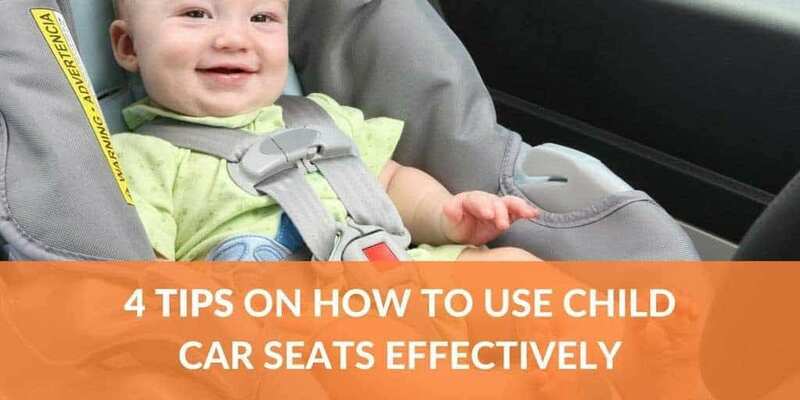 (Navigate here), How To Choose the Perfect Booster Seat for Your Baby (Visit URL) or The Best Baby Car Seat Covers 2019 (View here) or View our Types of Infant Car Seat. You need to ask yourself some questions, like: What is the age of my child? What are some of the must-haves of a car seat for me? How much does the seat need to influence my lifestyle? What levels of safety and comfort do I need the seat to provide for my baby? What a unique features of a seat do I need? These are just some of the questions you need to consider because there are countless types and brands of car seats out there. After you’ve chosen your seat, you need to know how to use it properly. Without knowing how to use the child car seat then you will have constant headaches. You will struggle with it for days and even result in giving up. To know how to use a child car seat is simple if you follow the manual’s direction. You’ve to learn how to use and install the base, the latch system, the harness, how to cushion the baby and much more. I remember a car seat with my sister was full of confusions and unavoidable dilemmas. We didn’t understand anything from the manual. So we decided to go through some of the online directions, and we got the help we needed. Within no time we were pros at using these children’s car seats. It is very easy. You don’t need to sweat so as to use them. It may seem a bit funny. In fact, it is hilarious when you imagine a grown man having to do gymnastics so as to get himself out of a car. However, this just goes to show that baby car seats are necessary and unlike Martin, you should know how to carefully and efficiently use it. Travelling with your baby can be very hectic sometimes. Try imagining having your child in the back seat of your vehicle with nothing to keep him/her safe, or you are holding him/her on your laps. It’s scary, isn’t it? An infant car seat is as important as having a balanced meal each day. It is that essential if you value our child’s safety. When you have an infant, and you are always on the road, you do need an infant car seat. Well, you need to choose one that suits your need perfectly. After you choose, however, you need to know how to use your child’s seat. Some manuals accompany the child’s car seat, and you need to carefully and thoroughly go through it before you start using the seat. The manual has directions on how to use various features of the seat including the base, the latch system, recline knob, car seat cover placement, how to wash the set cover and how to properly cushion your child. When you read through and understand these processes, then you slowly become an expert at using child car seats. Every tidbit of how to use it is important. You may feel as if some directions are irrelevant but trust me. You need every bit of information that you can get. Understanding child car seat laws is an important step in making your choice. This guide is for parents with infants, nannies and child care centres so that they may know how to place and fit the baby into the child seat carefully. Every car seat you purchase has to have a harness whether it is 3-point or 5-point. Harnesses help prevent your baby from harm in the event of a collision. However, a 5-point harness is the standard recommendation of any seat. It is the safest and most reliable tackle. You don’t want you child falling out of the seat while driving right? Then you should check out the harness and ensure it is the best one for your baby. So, how to, you use the harness, seat belts and base of the seat? You need to adjust the harness correctly. The straps on a rear-facing baby seat should be below your child’s shoulders. Use the retainer clips attaché to the harness and fasten them at the armpit level. With the harness clip at the centre of your son’s chest, it should keep the straps from falling off. Ensure that you are using the buckle position closest to the baby and that the hip straps fit either snugly over the hips on top of the thighs, depending on the seat. When using the base with a seat belt, you need first to place it in the back seat of the car, preferably the middle spot of the back seat so as to put it far away from the airbags. Then you should carefully thread the belt through the rear-facing or forward-facing belt path. Check to make sure there are no twists in the seat belt. After that, you should ensure that you buckle the seat belt and lock it firmly. Lastly, you should press it firmly into the base and tighten it. The base should not move. Always make sure that you install the base at the correct incline angle. The Latch is the Lower Anchor and Tether for Children. The lower anchor connectors are attached to the car seat and allow installation without the use of the car belt system. The tether connectors, on the other hand, are here the car seat’s tether is connected. They’re always in the upper part of the back of the car seat. To use them, the seat and the car must have latch elements that work efficiently together. They must be a perfect fit for each other. When using the Latch system ensure that the combined weight of your baby and the car seat doesn’t exceed 65 Pounds. Ensure that you install the vehicle seat with the car seat tether at all times, regardless of installation method. One thing you need to know how is that you should not use both the vehicle seat belt and latch system to install your harnesses child seat. After placing you baby on the middle spot on the car seat, you need to lock the seat belt firmly then check out on how to connect the tether straps. You should always ensure that the straps are tightly attached so as to prevent the head movements of your child in case of an accident. If the straps keep on twisting, you should untwist them, and if it is a recurring problem, you should return the seat to the manufacturer and get a better one or have another model. It sounds a bit funny. In fact, it is hilarious when you imagine a grown man having to do gymnastics so as to get himself out of a car. However, this just goes to show that baby car seats are necessary and you should naturally learn the art of suing them appropriately and carefully. The rearward-facing car seats are the very first stage of child car seats for you. They cater for tiny toddlers. They’re of the group 0+ classes of infant car seats. For the Group 0, they require a weight of 0-10kgs (22lbs) and an age of 1 week to 6-9 months. The Group 0+ class involve the child’s weight of 0-13kgs (9lbs) and an age of 1 week to 12-15 months. When installing the rearward facing child car seat, make sure that the harness straps do not twist or fold. They need to be straight at all times. Adjust the chest clip on the harness and ensure that it lies flat against your child’s chest at the armpit level. Then secure the harness straps below your child’s shoulder. Lastly, make sure the carrier latches into the child car seat base every time. To install the forward- facing options you need to install it way from the active airbags by placing it on the middle spot on the back of the seat. Then make sure that the harness straps do not twist or fold. They need to be straight at all times. Adjust the chest clip on the harness and ensure that it lies flat against your child’s chest at the armpit level. Lastly, each time you place your baby on the seat, give the seat a tug to make sure it is very secure. The booster car seats position the child so that the adult seat belt is head in the correct position for safety and comfort. They’re mostly forward-facing car seats. They’re recommended for kids until they’re big enough to use a seat belt properly. Booster car seats lift the child and allow the seat belt to sit firmly across the child’s collar bone and their chest. There are two categories of booster car seats, the high-back and no back. They are of Groups 2 and 3, and they have a weight limit of between 15-36kgs (33-79lbs) and an age of between 4-11 years. The high-backed booster car seats have the energy-absorbing foam liner and the no back booster seats, also known as the booster cushions which are for children shorter than 125cm and weigh less than 22kg. The high-back booster seats also have side wings that help protect the child’s head in an impact. When using the booster seat, you need first to ensure that your car has a combined lap and shoulder seatbelt. It should lie across your child’s shoulder and middle of his chest. One thing to note is that you should never use seat belt adjusters. You should always install it away from active airbags and ensure that the baby’s headrest is supported by the top of the booster seat. As overwhelming as the market may prove to be, one thing we all agree on is that safety must come first. It is expedient that you follow the manufacturer’s instructions. Although some baby car seats come with various harnesses, a 5-point safety harness gives more security, especially for older children. It has been tested and proven by experts. Making your decision early on in pregnancy may as well work in your favour as you can register for the model you want before your baby shower. Also learning to use the child car seat through certain guides on various pages and sites may be helpful. You need all the information to put your baby in the seat safely. Learning how to carefully and efficiently use the child car seat is crucial. It will go a long way in ensuring that you prevent your child from external harm in case of a collision. So, when you purchase that perfect seat, read carefully through the manual so as to use it as it is supposed to be used. You do need to learn about the harnesses and base. The 5-point harness is the safest harness to use in a child car seat. It enables the baby to be firmly snug in the seat thus protecting him from harm in case of a crash. The seat base should also be carefully attached. The latch system and the straps are also necessary. You should make sure that you do not use both the vehicle seat belt system and Latch to install your harnesses child seat. Ensure that the straps are tight so as to prevent head movement in the event of a collision. When installing the rearward-facing and forward- facing child car seats, make sure that the harness straps do not twist. They need to be straight at all times. Adjust the chest clip on the harness and ensure that it lies flat against your child’s chest at the armpit level. When using the booster seat, you need first to make sure that your car has a combined lap and shoulder seatbelt. It should lie across your child’s shoulder and middle of his chest. One thing to note though is that you should never use seat belt adjusters. We have not only helped you in learning how to use the child car seat properly, but we have also outlined some the best baby seats in the market so that you can purchase them and become an expert at using them. As said, our guides are honest and sincere so you can fully trust our reviews. We’ve reviewed various baby car seat products. So, if you’re interested, you can check out our Car Seat For Toddler Reviews or Convertible Car Seats Reviews. 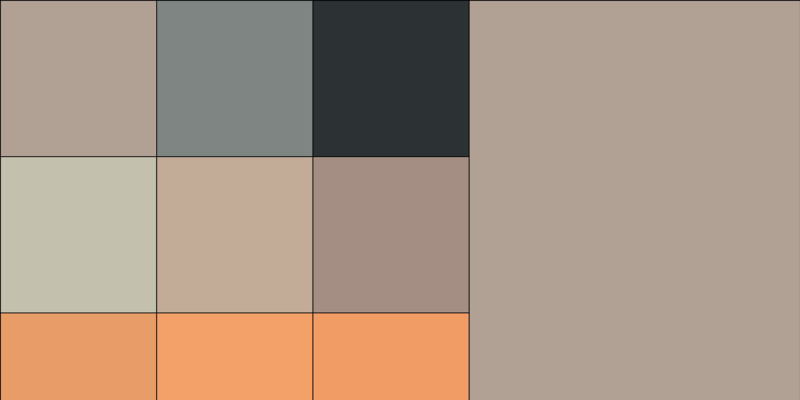 Have a look at ALL of our in-depth & unbiased Buy Guides. I know that you will carefully read the baby car seats descriptions and understand their importance differences before committing to purchase. If you are not satisfied with your child car seat, you can always return it if it has that policy or gets a replacement. I know you want to enjoy your baby seat for as long as you can. If you are not satisfied with its features as well, you can always customize some seats by attaching add-ons. Though it is important to buy a car seat that has all the features you require. After you purchase it, you need to carefully look through the manual and learn how to use the child seat correctly. It will save you time and headaches by learning how to use the seat for your child’s protection.